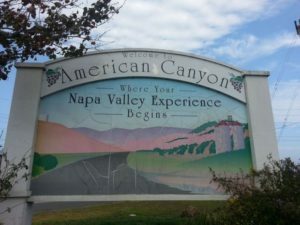 Whether you know it as Napa Junction or American Canyon, if you’re familiar at all with this area, you’re likely not surprised to know it’s the second most populated area in Napa County. With its temperate climate and its many breathtaking sites, residents of all ages can find something to love – and for older adults, it’s possible to continue to remain active and engaged in the community, with the various in home care services provided bythe American Canyon home care specialists at Hired Hands Homecare. By offering safe, escorted transportation services, our American Canyon home care team enables older adults to get out and experience all that our area has to offer, according to their own preferred schedule. For instance, perhaps a senior would enjoy a stroll along the Napa River Bay Trail, browsing through the exhibits at the Bailey Art Museum, or a sweet treat and cup of coffee at Le Paris Artisan. Whatever the desire, we have a caregiver in California for you to make it a reality! What Sets Our American Canyon Caregivers Apart? Allowing a caregiver to come into a senior’s personal home takes a great deal of trust, and at Hired Hands Homecare, we work hard to ensure that each of our American Canyon home care staff are fully equipped to earn that trust. Whenever an individual expresses interest in joining the Hired Hands Homecare team, we perform the same careful and in-depth screening and interviewing that we would if we were hiring him or her to care for one of our own family members, with thorough background checks and reference checks, paying special attention to the innate characteristics that are required for high quality in senior care. We understand that no senior’s needs are identical to any others, so all of our care is customized specific to the individual – whether that means just a few hours of assistance to provide the opportunity for family caregivers to take a break, specialized care for a chronic condition such as Alzheimer’s or Parkinson’s disease, end-of-life care, or even full-time live-in care. We meet with you and your senior loved one to fully understand your concerns, and then create a personalized plan of care to provide a solution and find the perfect caregiver in California for you. If you’d like to learn more about our professional American Canyon in home care services, request some free resources related to a specific challenge your loved one is facing, or schedule a free in-home assessment, we invite you to contact us at your convenience at 866-940-4343. Our compassionate care team is always on hand and we look forward to speaking with you and providing you the perfect fit for a caregiver in California!